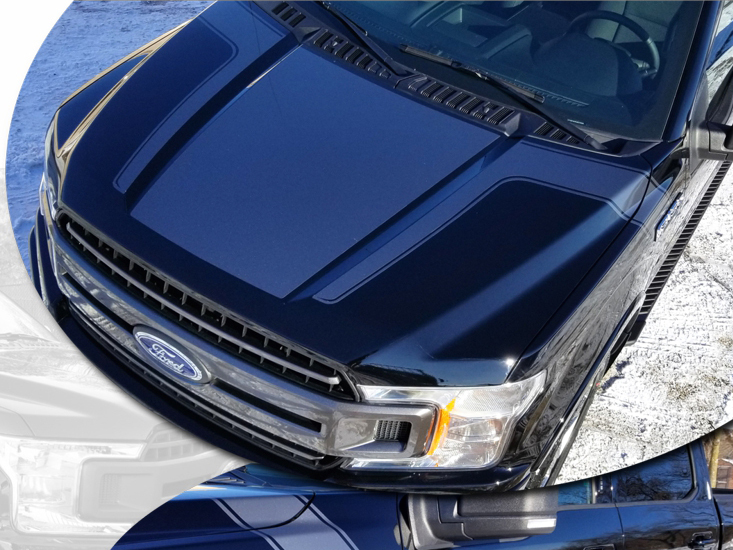 Make your 2015-2018 Ford F-150 stand out from the rest of the pickup trucks with this great-looking hood and body side BOSS inspired custom Graphics kit. 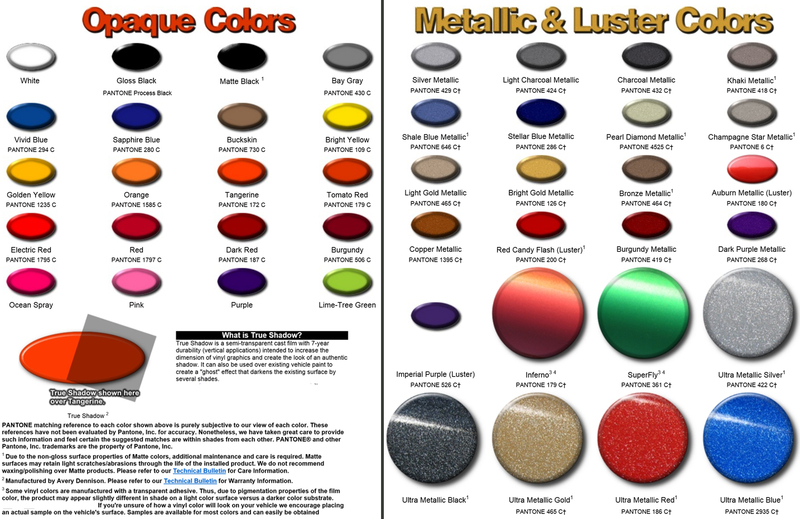 This aggressive styling vinyl kit is PRECUT and ready to install in a wide variety of colors. 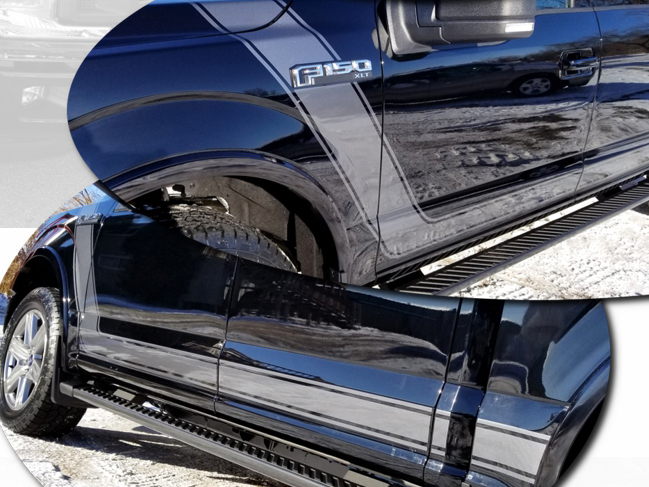 Graphics are one of the best ways to upgrade the look of your truck without breaking the bank. Slight trimming is required at Rear Door jambs as well as Cab/Box connection. Installation Note: Graphic kit has been configured to fit SuperCab, SuperCrew as well as Long Box model combinations with slight trimming required at Rear Door jambs as well as Cab/Box connection. 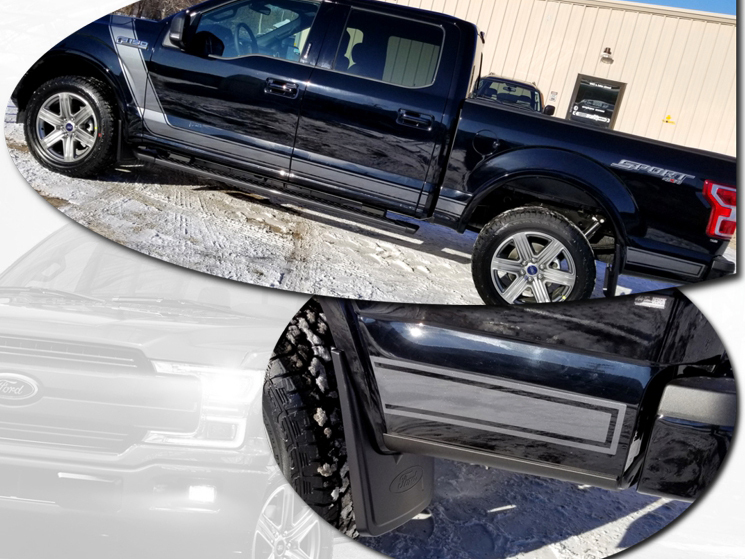 Click here for easy-to-follow parts list and installation notes! Click here to get color samples!